In the midst of writing my PhD I started reading fantasy novels. I went from a literature lady to the fantastical world of make believe, something that balanced out a heady PhD in yoga philosophy nicely. The most recent novel I am reading tells the story of a young woman on a journey to save both her beloved and their kingdom. She leaves a lover whom she thought to be true for a man thought to be a villain. Of course, as it turns out, he wasn’t a villian. He was just playing the part to save his realm – a beautiful city in which the inhabitants (fairies and the like) have lived peacefully for centuries. His court was named a ‘Court of Nightmares’ by many, as he had played the role of the villain well. Anyhow, our heroine escapes her first relationship with a controlling man and embraces the supposed darkness of this figure only to discover that darkness is a cloak to protect the lightness both in his heart and city. On her journey to save him, herself, human and fairy alike she finds herself stuck. Unable to save her people from an evil King as a last resort she speaks to the deliverer of death – the bone carver stuck under a mountain. He agrees to help her and decimate the army of the evil king if she will deliver him a magical mirror. But to attain this mirror she must look into it. 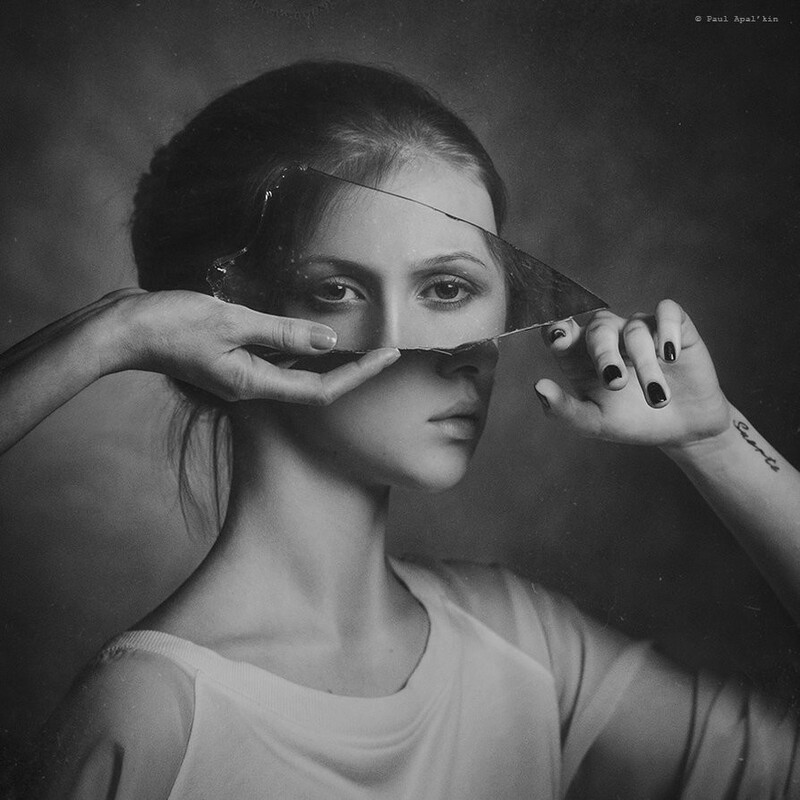 What is to be seen when you look isn’t known, but it has driven kings, queens and sages crazy and no one has dared to remove the mirror from its home for generations. Her love for her people is so great she journeys to find the mirror and with the prophesy of a truth teller that she will only see what is inside of her, she braves looking into the mirror. Time freezes and for an unknown period she experiences grief, anger, sadness, horror. She cowers in the corner at what she has seen. The ugliness, the creature in front of her a scaled, gnarled and hideous figure. She softens and allows herself to see this creature, realising this creature is her, it is part of her. She opens to the vision, becomes soft, allows it to be. The creature begins to transform, a metamorphosis in front of her eyes. She sees beauty and truth and strength. It got me thinking … this story is a parable for our lives. Sometimes it takes extreme external conditions for us to even contemplate staring into this mirror, to look at ourselves and allow ourselves to truly see ourselves as we are, not as we hope we are, or we pretend to be. The risk is possible madness. Not proper insanity, but an intimate understanding and potential inability cope with what our habits and behaviours have resulted in. At times, though, through practice or life circumstance we might feel steady enough and our bravery maybe not be beset with the fear that if we truly see ourselves we will fall apart. We might, like the heroine in this story, stand in the truth of who we are and embrace it. Perhaps there will be rage, or fear or tears to begin with, only to be overcome by love, acceptance and kindness towards our self. This love and acceptance includes a huge dose of forgiveness. And once we can behold ourselves truly, not the story of the self, the grand narrative we carry with us and present to the world, we live with this insight within us. Like the heroine of this story we are emboldened by living with the truth of who we are and letting go of the charade. We can stand the consequences of being our self. We love the truth the palpable reality which this embodies, because we can only be our self, not anyone else. And from that place of bravery and solace, grounded in the truth of our being we can begin to act from a place of wisdom. This heroine was unsure what path to take, unsure how her story would end. But she knew the risk was worth it. What we thought might be her sacrifice – the risk of madness – is indeed what freed her. She was no longer scared of herself, who she had become and what lay ahead. She knew in the moment the completeness of herself, life and her path through darkness and light, life and death was revealed to her. The path she walked not just for herself, but for others. Her ability to see herself in completeness gave rise to the space for others to become whole also. I think her journey can speak to us all. Would you or have you allowed yourself to look in the mirror in this way?